Each day this school year I have taped a silly joke into my daughter’s lunch box. I originally meant to only do it once a week, but she loves it so much that I now have a joke in her lunch everyday. When school first started I was pretty good at getting her lunch ready and quickly coming up with a joke for the day, but as time went on it got harder to get the jokes ready. I would forget to put one in her lunch, or we would be running behind in the morning and I just didn’t have time to get a joke ready. Now that it’s the new year I have decided to make things a little easier for me. 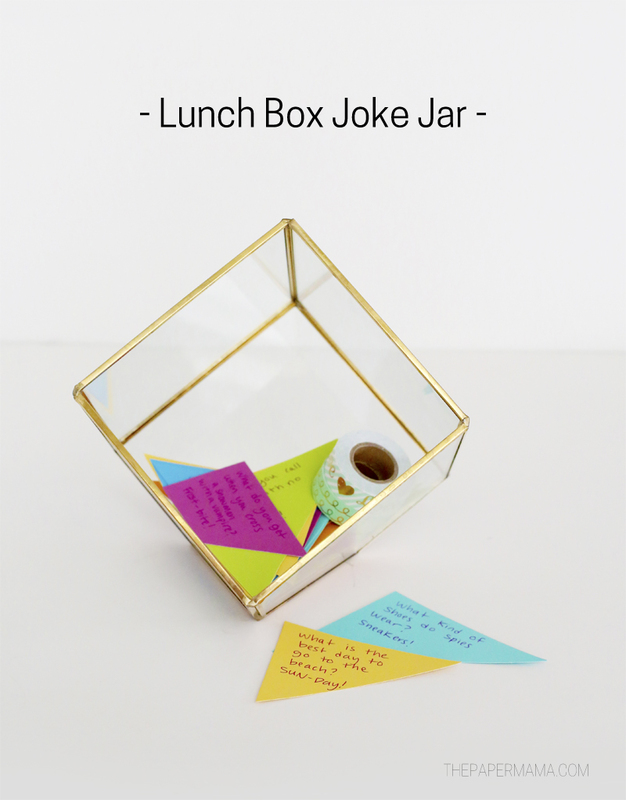 I organized a little Lunch Box Joke Jar. 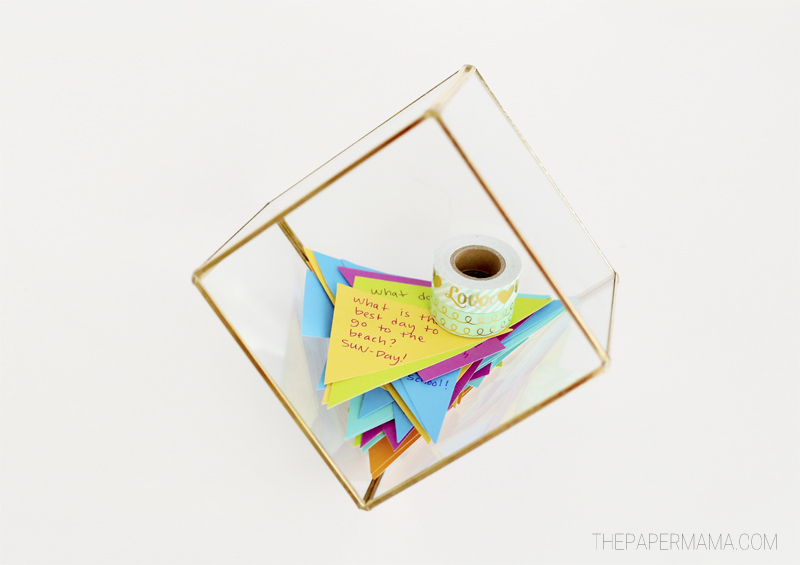 Anytime I think of a joke (or find one online) I’ll write it on these little cardstock triangles and pop them in the jar. With my lunch box joke jar I am ALWAYS ready with her silly jokes and I don’t need to stress about it each morning. I also keep pretty rolls of washi tape in the jar so I can tape them to her lunch box. 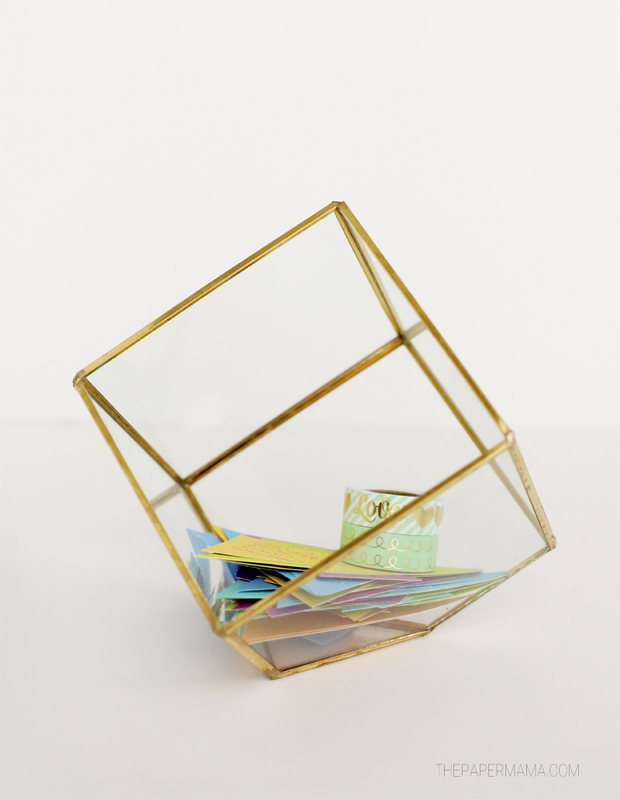 I found this super cute terrarium at Michaels to use for my joke jar (I think it’s only an in store item and not online). The washi tape and card stock is also from there. I just cut the card stock up into little triangles and popped them into the terrarium. I have about 40 jokes in there and I’m ready to pack all those lunches! Whether it’s planning the family schedule, cleaning out your pantry or getting the kiddos ready to head back to school, Michaels has everything you need to help you get organized this year. What are you doing to make your life easier with school starting up again after the winter break? P.S. 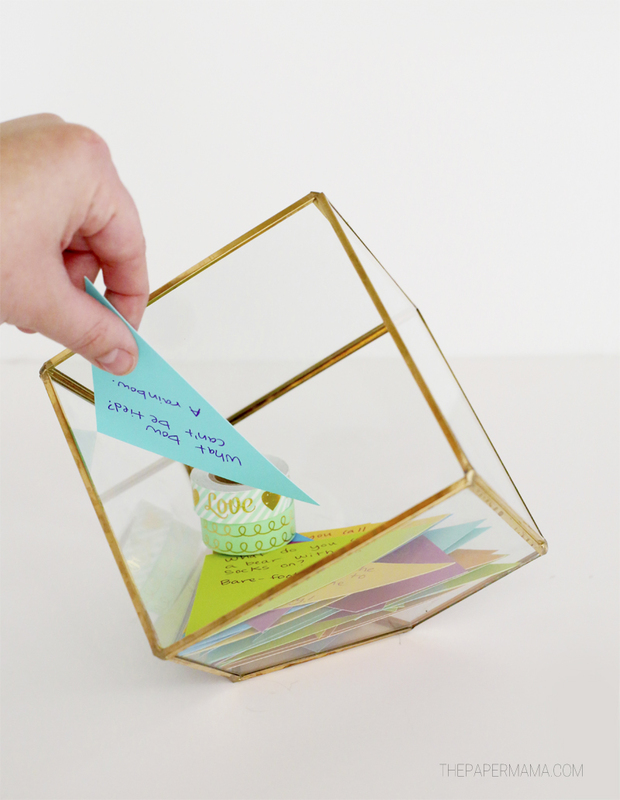 Michaels provided me with a gift card to craft this project and share it with you! Make a fresh start in the new year and plan for a great 2017! Michaels has a huge selection of planners as well as all of the accessories you need to personalize your own.